IWC Portugieser Hand-Wound 8 Days Edition "75th Anniversary" IW510205 SIHH 2015. 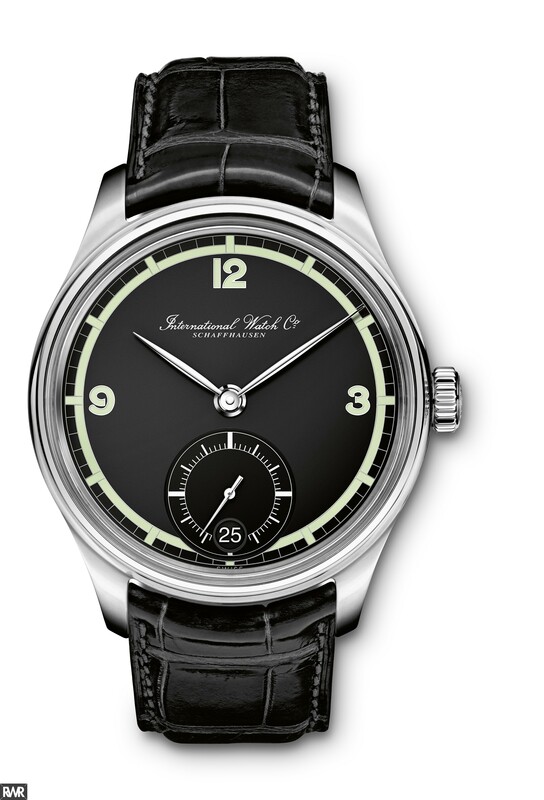 The IWC Portugieser Hand-Wound 8 Days Edition "75th Anniversary" (model IW510205) SIHH 2015 comes in a stainless steel case with a black alligator strap by Santoni and a stainless steel pin buckle. The watch features a black dial, a sapphire crystal with an arched edge and anti-reflective coating on both sides, date display at 6 o'clock and a power reserve display on the transparent case back, and an 8-day power reserve. The case measures 43mm. It has 30 jewels and mechanical movement with manual winding IWC-manufactured calibre 59215. We can assure that every IWC Portugieser Hand-Wound Eight Days Edition "75th Anniversary" IW510205 Replica advertised on Replicawatchreport.co is 100% Authentic and Original. As a proof, every Replica watches will arrive with its original serial number intact.